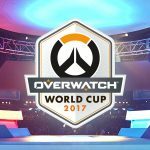 The 2018 Overwatch World Cup Bangkok Group Stage was the most intense Group Stage yet, with unpredictable results across three days of matches in front of a live audience at the Royal Paragon Hall. It all came down to the final day, where four teams—China, Australia, Denmark and Sweden—remained in contention for the two spots available for the Top 8 at BlizzCon. China secured their berth early in the day, and the final spot came down to an intense battle between Denmark and Sweden. Sweden won a nail-biting victory in a tiebreaker, allowing Australia to only need to take one map from China in the next match to qualify for BlizzCon, which they did in glorious fashion. 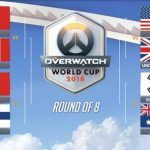 Locals Team Thailand proved that they can match with the best in the world, taking eventual stage winners Team China to a fifth tiebreaker map themselves. China and Australia will join South Korea, Finland, the USA and Canada at BlizzCon in November as they battle for the gold medal, with two spots remaining up for grabs in the Paris Group Stage this weekend. 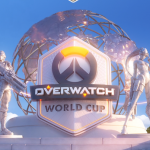 Paris Group Stage preview: https://overwatchleague.com/en-us/news/22482776/overwatch-world-cup-group-stage-preview-paris. 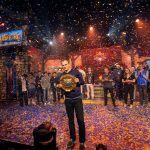 The last regional playoffs to decide the 16 contestants for the upcoming 2018 Hearthstone Championship Tour (HCT) Fall Championship in Los Angeles (Oct. 11-14) were held this weekend. Representing the Americas will be Tincho of Quad Gaming (Argentina), justsaiyan of Tempo Storm (United States), bloodyface (United States) and lnguagehackr (Canada). They will join the best Hearthstone players from Europe, China and Asia-Pacific at the Blizzard Arena – Los Angeles on Oct. 11-14 to determine this season’s champion and who will walk away with the lion’s share of the tournament’s $250,000 prize pool. HGG: Round of 16 Begins Sept. 19 – Cheer for Your Favorite Team! The Hearthstone Global Games (HGG) resumes on Sept. 19 with the Round of 16. The 16 best Hearthstone nation teams in the world will square off in a Dual-Tournament to determine which eight will advance to BlizzCon, where they’ll battle it out on the big stage. Method Black have locked in their spot at BlizzCon but are still showing their dominance, shrugging off the meta changes and putting together another top-tier performance. Dropping to the lower bracket early on versus Daily Feed, there was some doubt. “Are Method Black still on top?”, you may have asked yourself. Well, yes—yes, they are. They proceeded to run 15-4 through the lower bracket, all the way to a 4-1 Grand Final romp. Check out the full recap from the first Cup from the Fall Season of the World of Warcraft Arena World Championship here: https://worldofwarcraft.com/en-us/news/22481154/trinkets-usher-in-a-new-arena-meta. 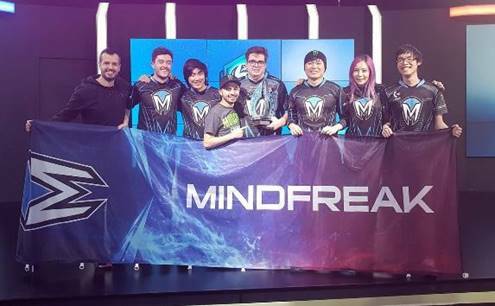 On Saturday, Australia and New Zealand’s top team Mindfreak took down Latin America’s Thunder Predator 4-1 to win the Intercontinental Clash in Sydney, Australia. After missing out on the HGC Finals in 2017, Mindfreak will be looking to make a splash in Anaheim this year. 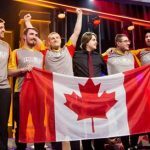 They’re the fifth team to qualify for the 2018 HGC Finals, where they’ll challenge the best squads in the world at BlizzCon starting from Oct. 12 to Nov. 3. Korean Terran player Cho ‘Maru’ Seong Ju wrote history on September 15, defeating Terran player TY 4-3 in the GSL Code S Season 3 Finals. This win marks the very first full sweep of every Code S tournament this year – an unprecedented task in GSL – and 21-year-old Maru has set a new all-time record. Maru has been nearly untouchable, having dropped only three games across the entirety of this Code S season. Only the WCS Global Finals at BlizzCon remains in 2018 as a prize worthy of Maru’s attention, and he will enter as Korea’s #1 seed.